Building a pool on your property is a decision that can make you the envy of your entire neighbourhood. You’ll be able to increase the value of your home and create the perfect place to spend warm summer weekends, all with a single project. In order to achieve this goal however, you’ll need to enlist the services of a professional contractor. If you’re searching for the best local swimming pool builder in Melbourne, then look no further than Pools R Us. Don’t just take our word for it – these are the things you need to look for when choosing a builder, so you can be sure you’re making the right decision for your family. You may think finding a pool builder is as easy as typing those two words into google and seeing where your search takes you. However, you’ll quickly find there are far too many options to reasonably look through. To narrow down your criteria, think about your budget and your block, as well as your favourite designs and finishes. For example, fibre glass options are ideal if you’re looking to keep to a tight budget, whilst concrete is a good choice if you want a bespoke finish. Once you’ve narrowed down your criteria, you’ll find your favourite search engine produces much more specified results. Typing in ‘Sloping site ’ will return far better results than simply typing in ‘pool builder’. Once you’ve found a few companies in your area, browse their websites for more information and inspiration. If it looks like they can create the standard of work you’re looking for, then it’s time to take it to the next step. Before making any commitments, ask for testimonials and look at reviews. Having a pool installed in your property is a big investment, and it’s important that you take the time to ensure the company is up to the task. The best way to do this is by looking back at their previous work and speaking with past customers – and if the building company is hesitant to offer these testimonials, then they may have something to hide. Make sure you look at relevant examples though, there’s no point looking at out of ground pools if you’re hoping for a below ground fibreglass option. Once you’re fairly confident, and you’ve chosen two or three companies that you could see yourself working with, it’s time to request a quote. It’s important to make the right decisions for your budget, but bear in mind – if it seems too good to be true, it probably is. 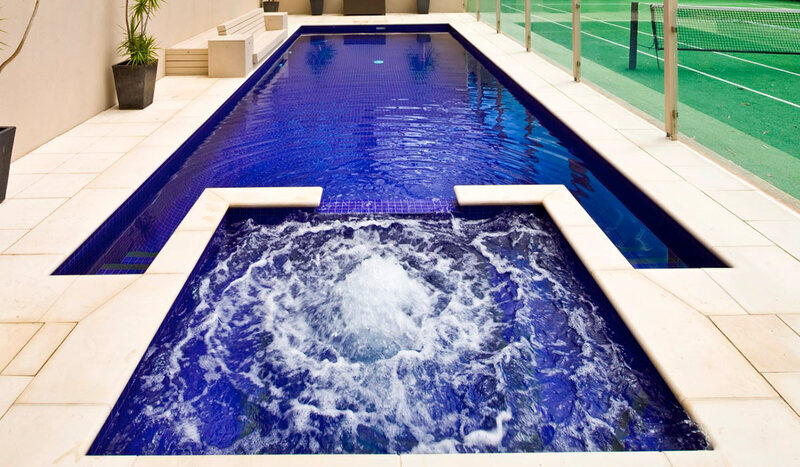 Through careful research, you’ll soon find the best swimming pool builders in Melbourne. Look at their past work and request a quote, and you can be confident that they can create the masterpiece that you’re looking for. Now that you’ve begun, it won’t be long until you have your dream pool in your backyard! Contact our team today.